Many have gone on to divide the last six chapters into two more sequeneces of seven, making a total of seven sevens. This can be visualized pictorially in a chart (pdf). 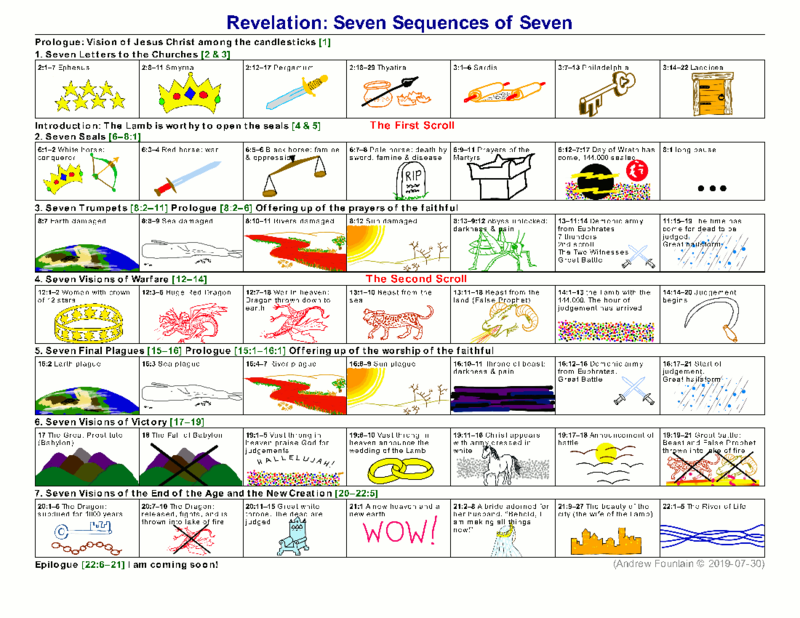 The sequences are consecutive, resulting in 49 visions spanning the resurrection to the final judgement. The sequences run in parallel, with each having seven visions spanning the same period. A combination of the above, where each sequence of seven is an expansion of the final vision of the previous sequence, expanding the vision like opening a telescope. A variant of this is to suggest some recapitulation in some sequences. 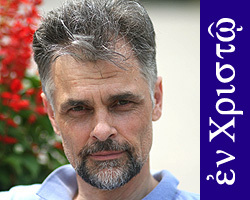 In the following discussion I will use the abbreviation §x for sequence x and §x.n for the n’th vision of sequence x. All sequences end with some kind of judgement except §7, which takes us even further into the future. It has already been pointed out that §2.1 and §4.1 start at the same time, so it would make sense that the time period covered in §2-§3 is repleated in §4-§5. The false trinity and false bride: Dragon/sea-beast/prophet/Babylon span the last four sequences, being introduced in order, and then destroyed in the exact reverse order. This suggests that the last four sequences belong together and there are some chronological dependencies between them. The detailed dependencies will be discussed later. There is a key temporal link between §2 and §3: In §2.6 (specifically 7:1–3), the angels of §3 are told not to blow their trumpets until §2.6 is complete (the 144,00 are sealed). The angels who hurt the earth, sea etc (trumpets) cannot start until the 144,000 have been marked to keep them safe. 22:6–21 – Epilogue: I am coming soon!